The unbeatable feeling of getting home to the farm after 11 weeks on the other side of the world is something I cannot really describe. After an exhausting four days travelling from Invercargill to Auckland in New Zealand, then London via Singapore, landing on home soil among my sheep, dogs and family was very much welcomed. I was lucky enough to spend my last week in New Zealand attending the World Shearing and Woolhandling Championships in Southland. Thirty two teams from across the globe competed in the three disciplines of machine shearing, blade shearing and woolhandling, firstly in an all nations tournament, followed by the world teams competitions and individual finals. Hosted in an amazing stadium, declared for the week as the $40 million woolshed, the atmosphere was phenomenal, with the top competitors vying to claim the title of world champion in their field. The England team did well across the three disciplines, so congratulations to them and great thanks go to all the sponsors, and supporters watching online. I feel privileged to have met some friends for life while being away, with the skills, passion and determination needed to succeed in an industry we should be proud of. The next world championships will be taking place closer to home in France in 2019. It is excellent to be back home farming and I have plenty of sheep work to keep me busy until lambing time in April. The ewes were scanned just before I returned, with an overall percentage in the Romneys of 143 per cent, lower than I would like, but with only four triplets and eight barrens it is not disastrous. The 200 singles will be easy and cheap to manage outside, needing very little feed and assistance. The weather is relatively mild, so I will make the decision whether to shear and house the twins in the next couple of days, when I gather all the ewes and draft them, by the number of lambs they are carrying and by their condition. 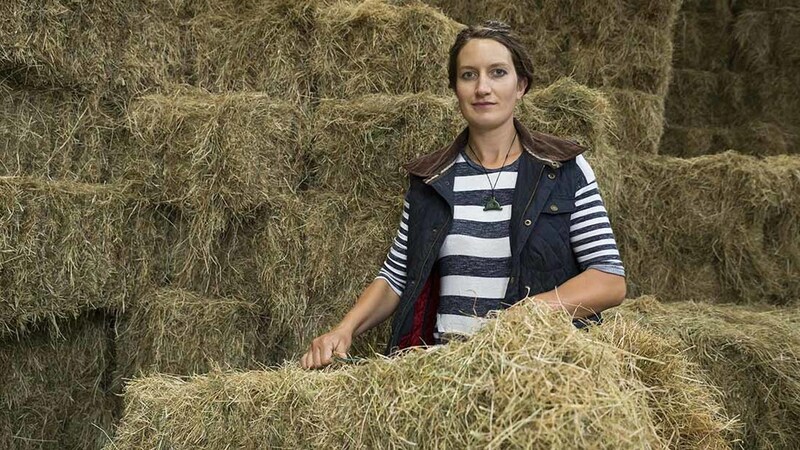 There is very little grass left on-farm now, and with plenty of home-grown forage in-store and empty sheds it seems logical to save the spring grass growth for turnout. The vet is coming to blood sample the ewe lambs as some are looking a little poor, having both faecal egg count tests and fluke samples returned showing no infection. I will give them extra attention over the coming weeks.